Living like a tourist: A Postcard from me to all of you! A Postcard from me to all of you! I thought it was only fair to follow my own lead. Therefore, since I had asked all of you to send me a postcard from the city in which you are living or from where you originate, I thought I should do the same. And to prove that it is my intention is to highlight ANY city (not just the exotic ones), my postcard is not from the international and glamorous cities that I have lived in, such as Rome, Paris, Leipzig or Frankfurt; it is not even from the very cool domestic cities I have lived in like Chicago or Atlanta. In fact, I can't even claim Baltimore as my own as I have technically always lived in the suburbs... So here is my postcard of super hip, world famous, the-next-Hollywood: Lutherville, Maryland- all 7.4 square miles of it! 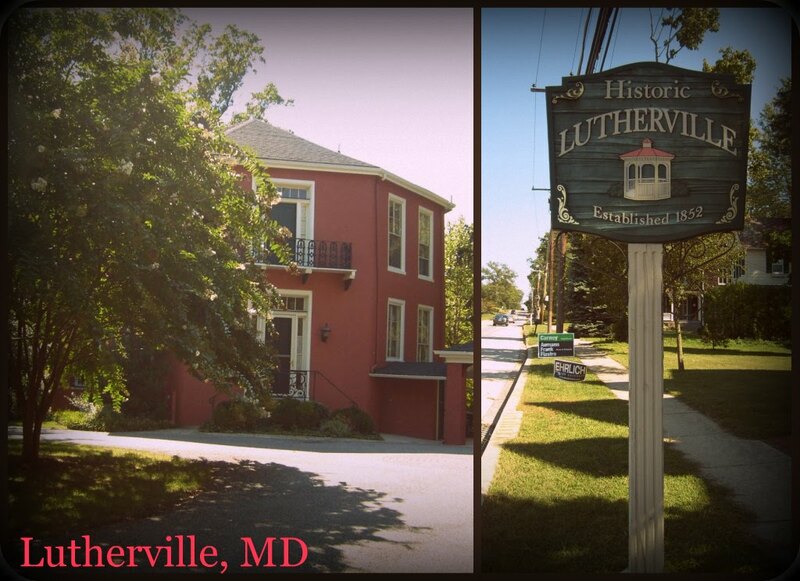 Lutherville was purchased in 1852 by two ministers, and it was originally intended as the spot for a seminary. The subsequent town that sprung up was named after Martin Luther (makes sense), the founder of the Lutheran church. As of the last census, Lutherville had a population of 15,814. (Well, perhaps 15,813 as I no longer live there). Yet, in spite of our tiny numbers, we have had an impressive list of locally and nationally famous people inhabit it. John Waters, the film director of "Hairspray" and other movies, grew up in Lutherville. Astronaut/physicist, Samuel Durrance, who flew aboard two NASA Space Shuttle missions lived in Lutherville, as did Johnny Unitas, football player on Baltimore's former football team, The Colts, and several Orioles Baseball players, such as Raphael Palmeiro, Brooks Robinson and Jim Palmer. Not so shabby for a town of 15,000. Our demographics are a bit slanted with 90% of the town being white. The average family size of Lutherville is 2.86, and, upsettingly, the median income of men in this town is $17,000 higher than that of females. One thing that I have always found genuinely interesting (I am being serious here) about Lutherville is that there is an Octagon-shaped house in the historic part of town. Apparently, the mid-19th century saw a surge of "exotic" architecture, including octagonal houses. Orson Squire Fowler, the one who popularized octagonal houses in the day, extolled the virtues of this type of structure, stating that it was the "pathway to healthier living." I didn't find anything explaining why this particular house was shaped as an octagon and whether it was linked to a desire for a healthy life, but I did find out that the local postmaster lived there... I don't think the two facts are related. So in sum: Martin Luther, the 19th century "feng shui" and NASA astronauts were all connected to my little town, and I never knew it. Intrigued about what town might hold? Find out and Send me a postcard! N.B. Anything unique to your city will do: a weird billboard, an exceptionally large tree, a special food (like berger cookies in Baltimore), a particularly good local beer etc. Creative postcards welcome! Postcard from Jessica in Santa Monica! Postcard from Cory at the Maryland State Fair!